Take your old-school Clodbuster project truck to the extreme! 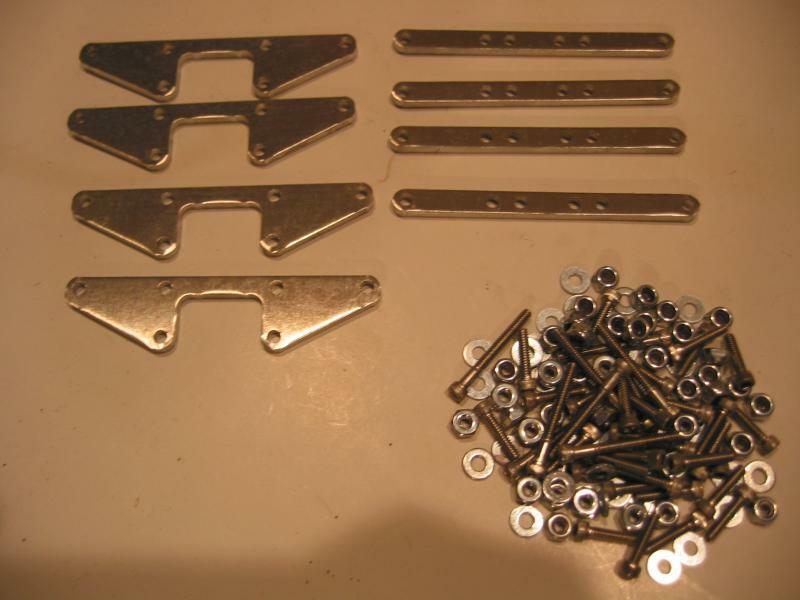 These aluminum plates allow you to install four (that's right 4!) 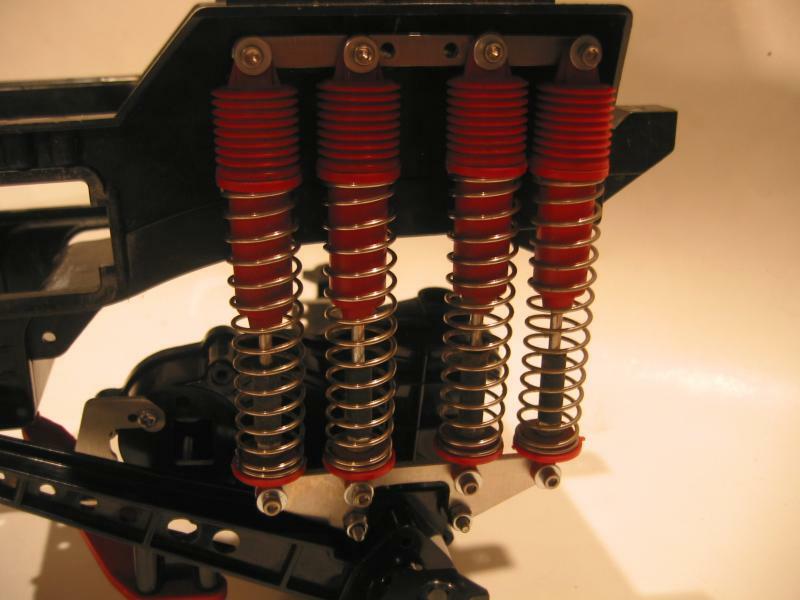 shocks on each corner of your Clodbuster/Bullhead. That's 16 shocks total! Designed to fit stock and most aftermarket shocks, these plates also incorporate a lift kit so 100mm shocks can be used without clearance issues. These plates also allow for the use of our CPE-VERTSTR vertical servo mount with no interference issues. 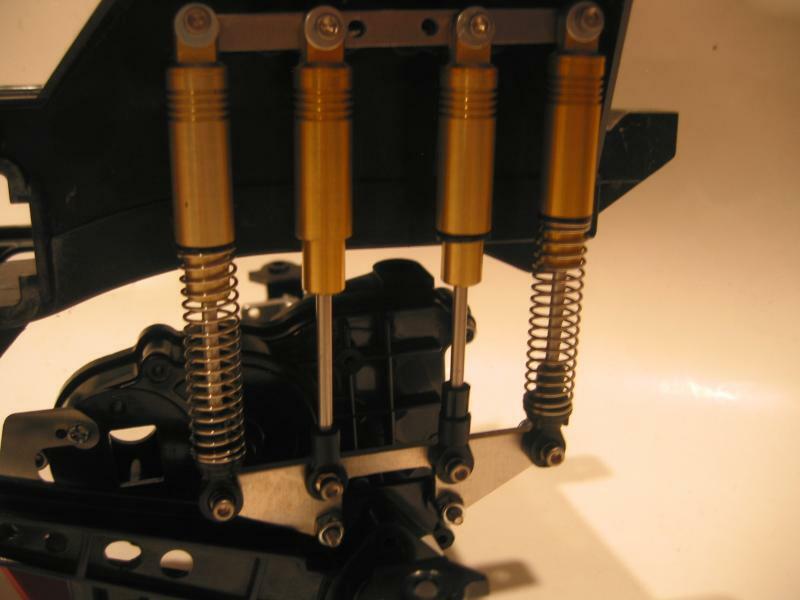 Machined from 1/8" thick 6061 aluminum, this kit includes 4 upper and 4 lower shock mounting plates PLUS a complete socket head hardware set with enough mounting hardware needed to install the plates AND each of the 16 shocks.